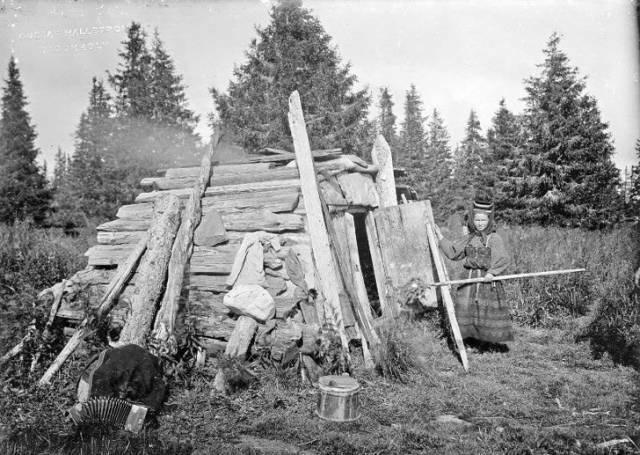 A woman stands by her home in the Arkhangelsk province of the Russian Empire in 1910. 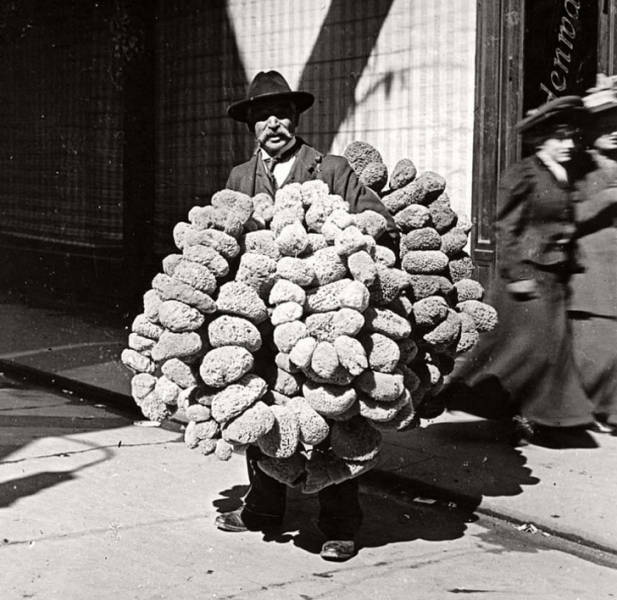 A man selling sponges in Vienna, Austria in 1904. 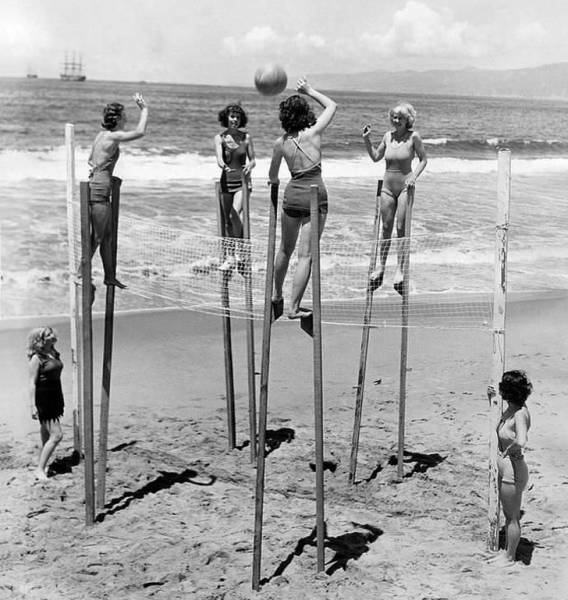 Women playing volleyball on stilts at Venice Beach, CA, USA in 1942. 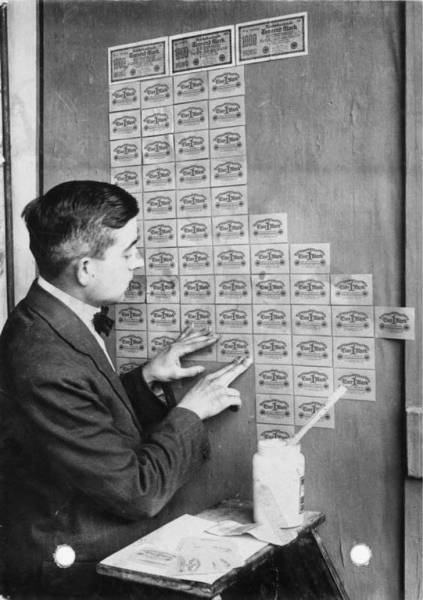 Using banknotes as wallpaper during hyperinflation, Germany, 1923. 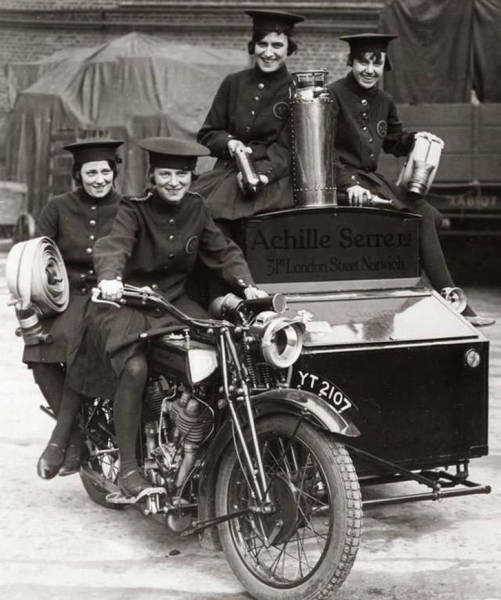 A female firefighting team on a specially converted motorcycle in London, England in 1932. 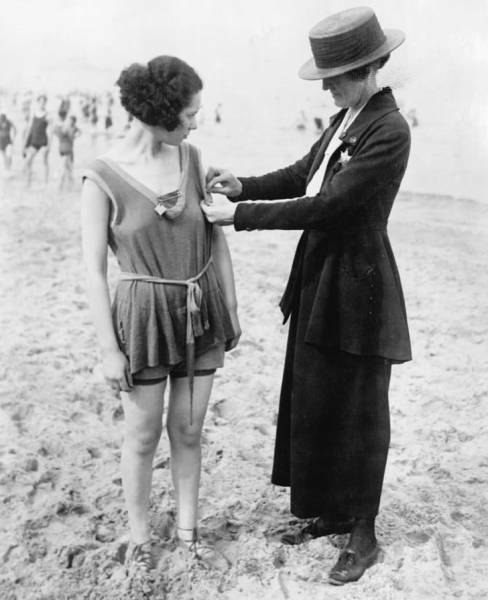 A female beach police officer inspecting a woman’s bathing suit in the US in 1921. 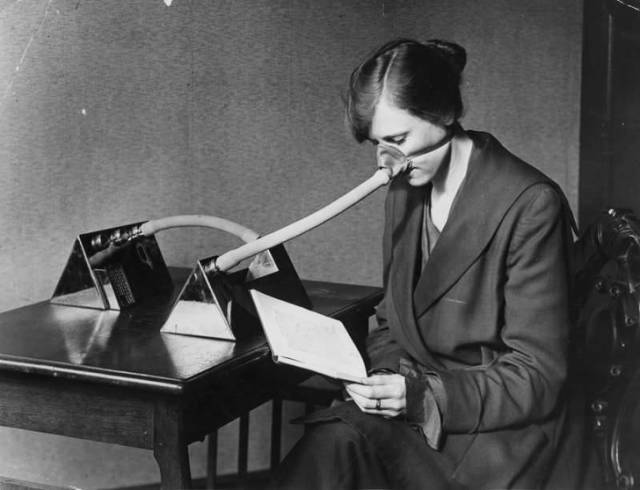 A special flu mask used during the Spanish Flu epidemic in England in 1919. 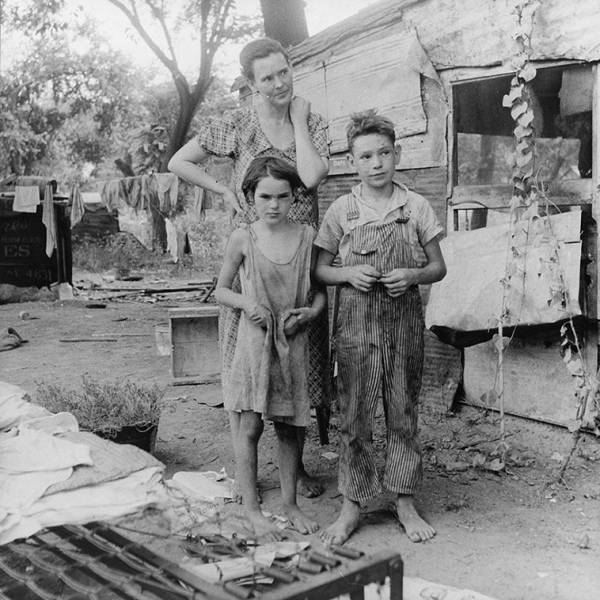 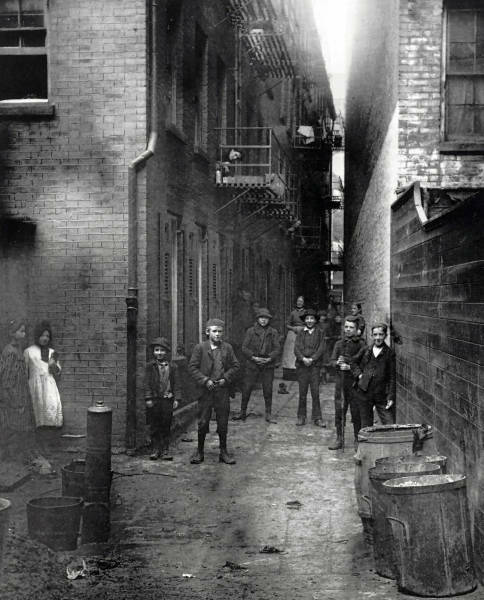 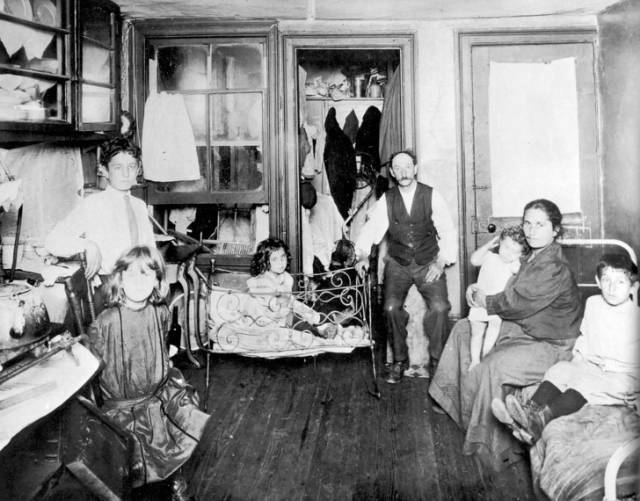 A family living in their one-room slum apartment in NYC, USA in 1890. 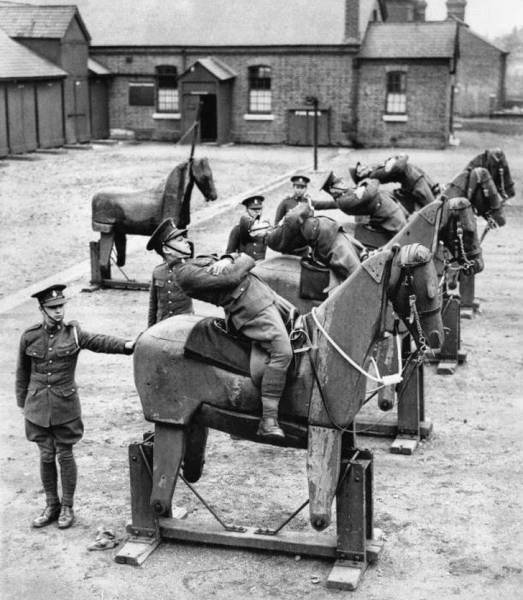 Cavalry training in England in 1935. 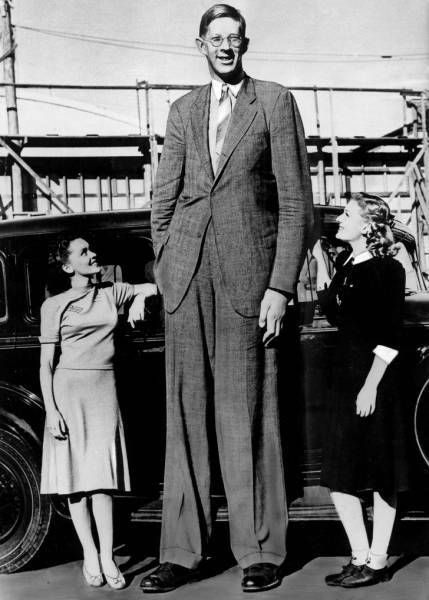 Robert Wadlow, the tallest man ever recorded and confirmed at 8’11″, pictured here in 1939, just one year before his death. 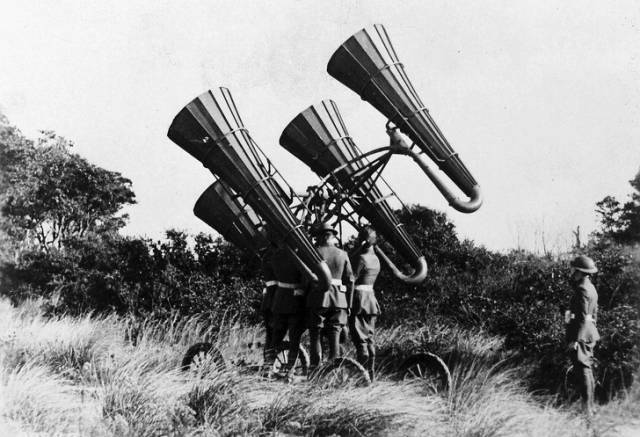 American troops during World War I using newly-developed acoustic technology to locate enemy aircraft. 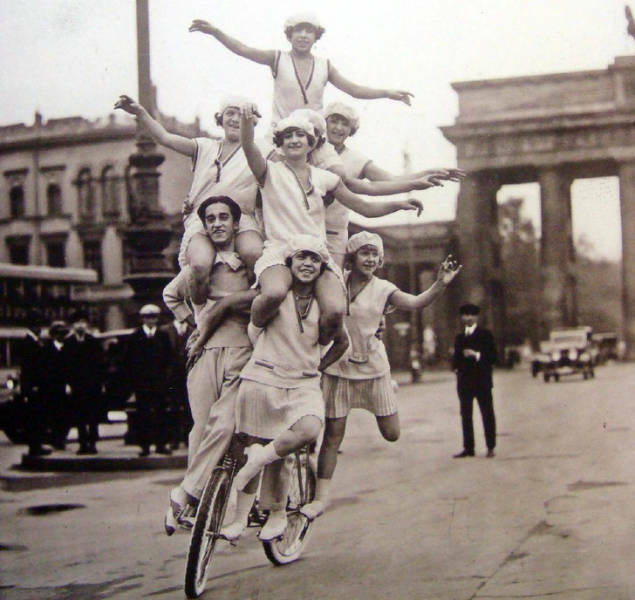 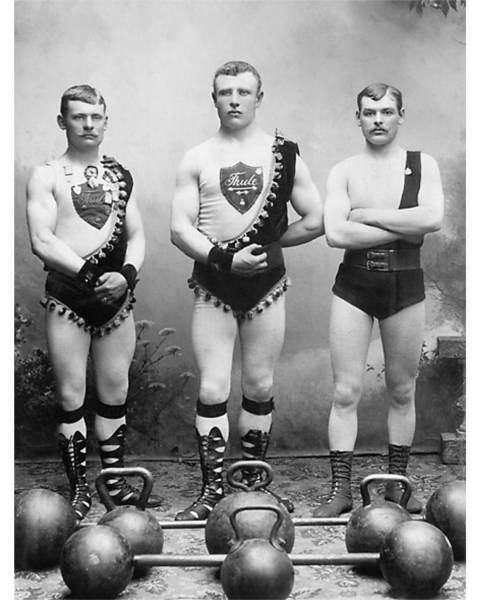 A family of acrobats performing on a street in Berlin, Germany in 1920. 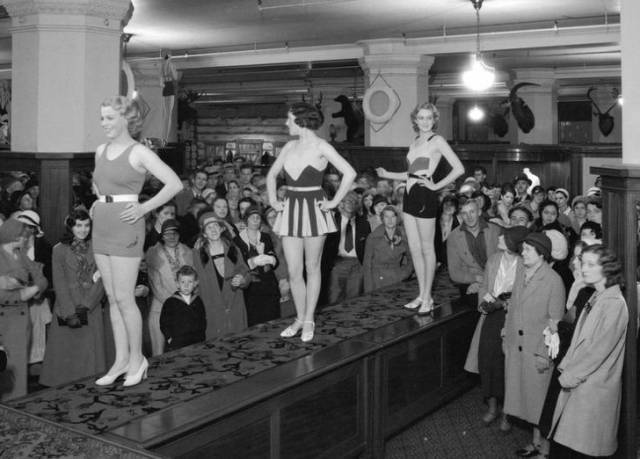 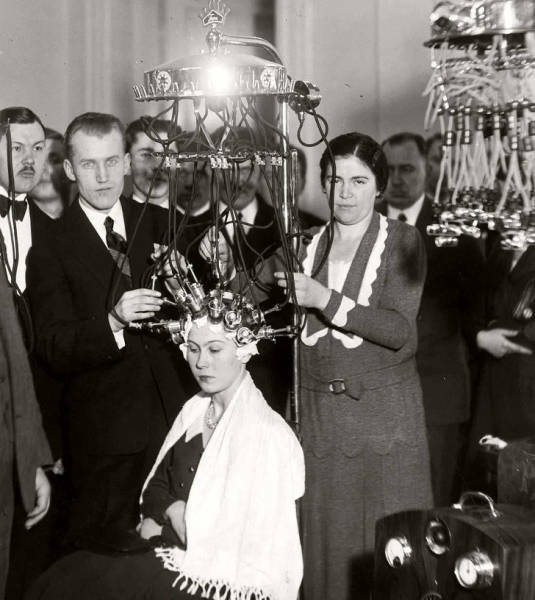 A hairdressing Competition in Warsaw, Poland in 1932. 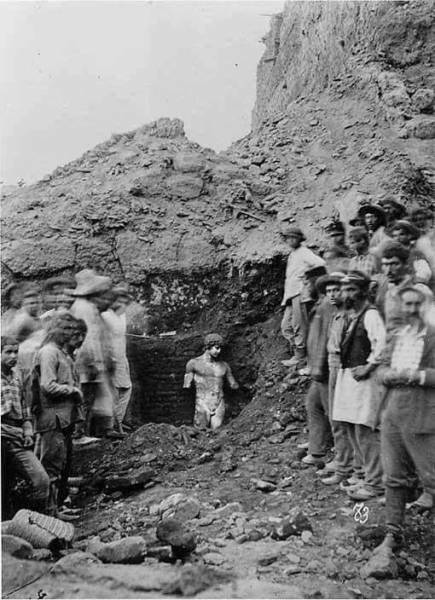 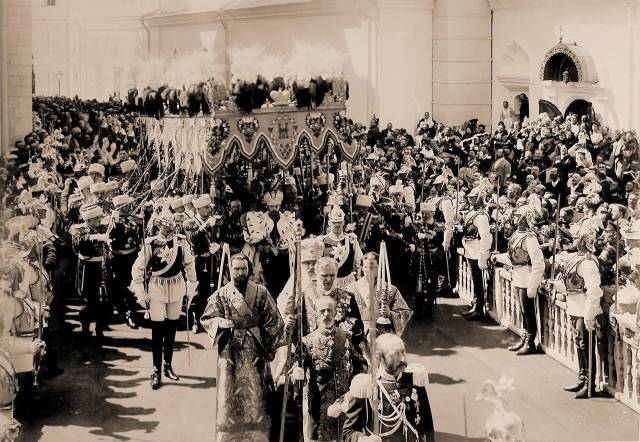 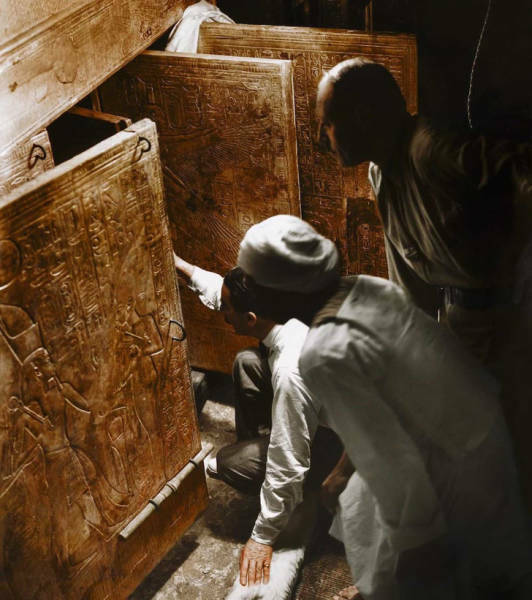 Archeologists Howard Carter and Arthur Callender and an unidentified Egyptian worker open the inner chamber and see King Tut’s sarcophagus for the first time, 1922. 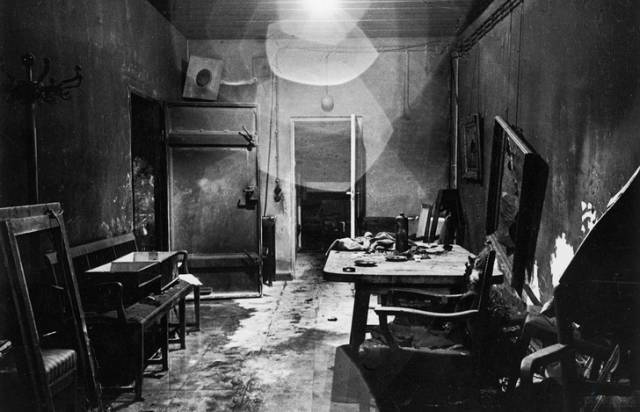 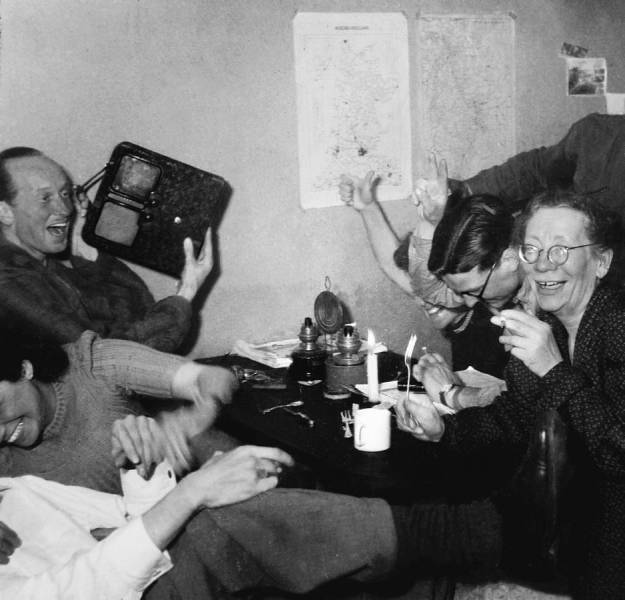 The interior of Adolf Hitler’s bunker as captured by allied forces in 1945. 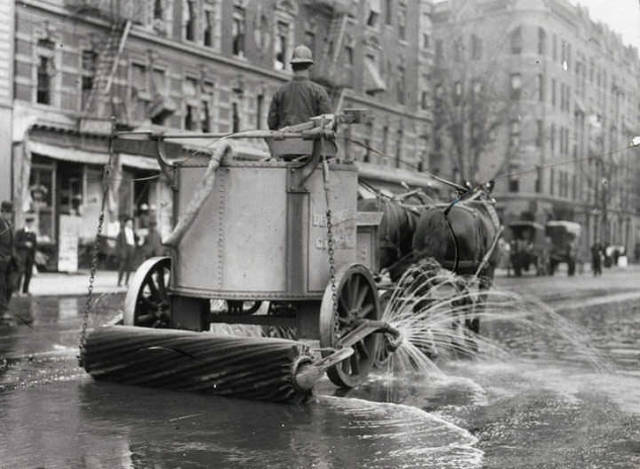 Cleaning the street in NYC, USA in 1906. 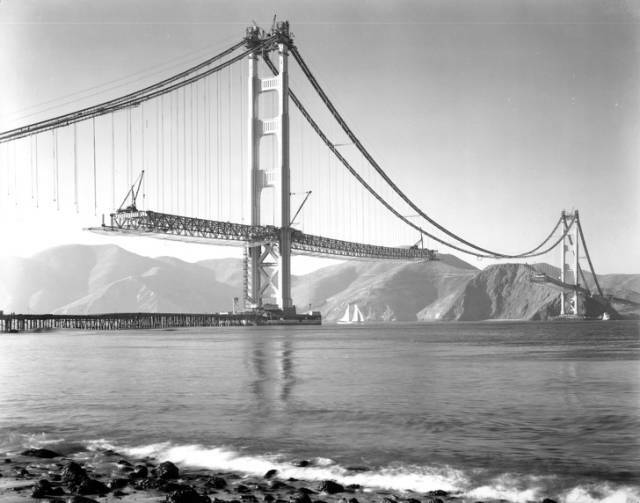 The Golden Gate Bridge being constructed in San Francisco, 1937. 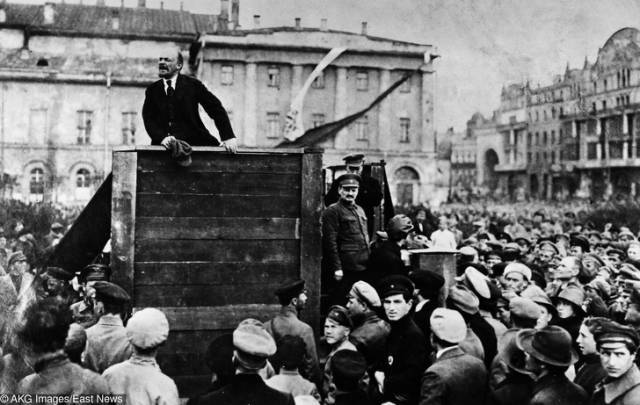 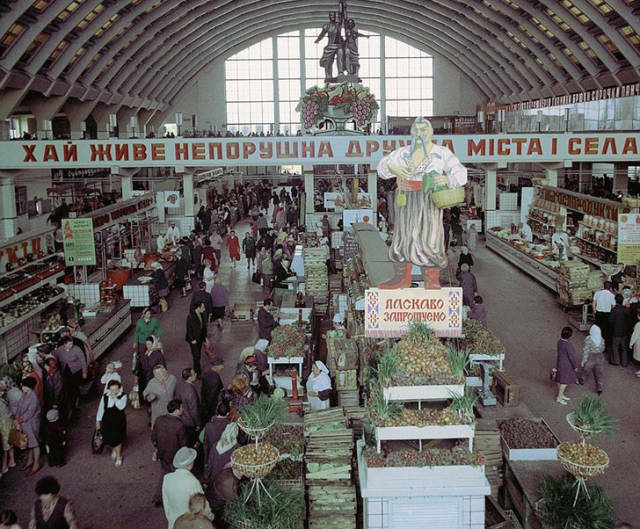 The leader of the Bolsheviks, Vladimir Lenin, is addressing the soldiers of the Red Army that are about to leave for the Russian-Polish war, Moscow, 1920. 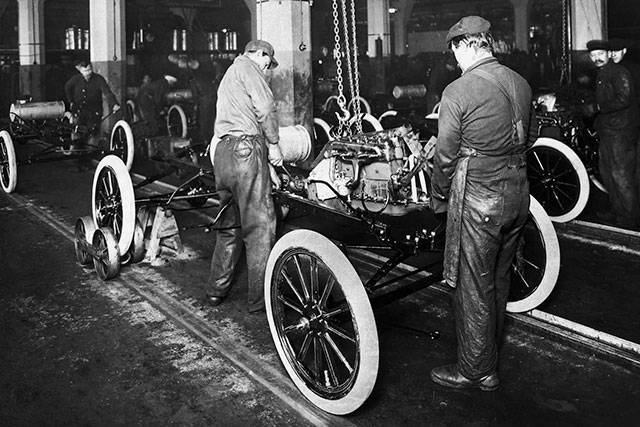 Ford’s first moving assembly line at its Model T plant in Highland Park, Mich., in 1913. 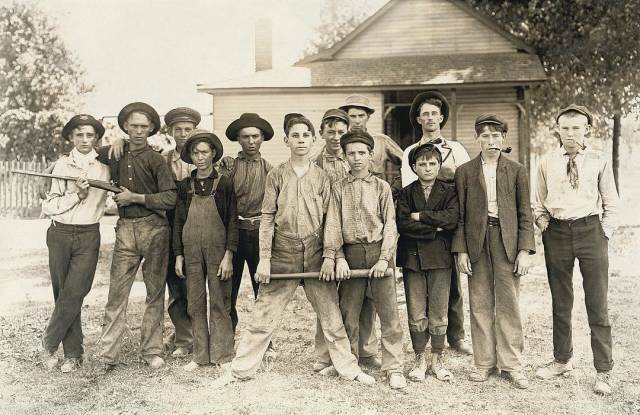 11 a.m. Newsies at Skeeter’s Branch, Jefferson near Franklin. 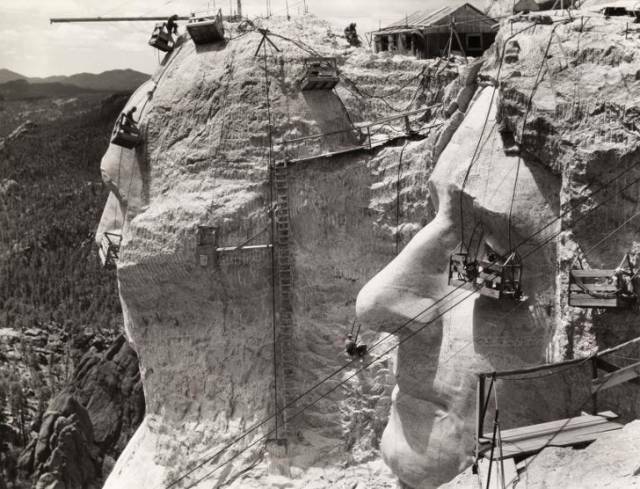 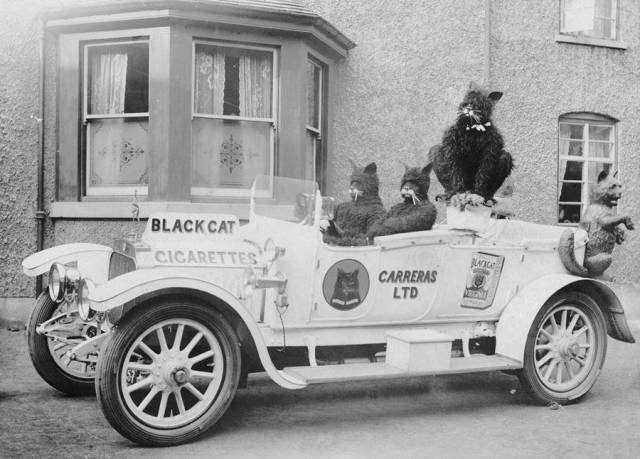 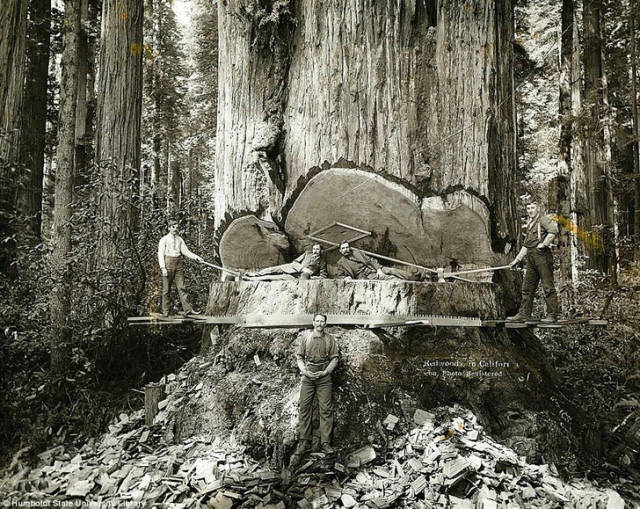 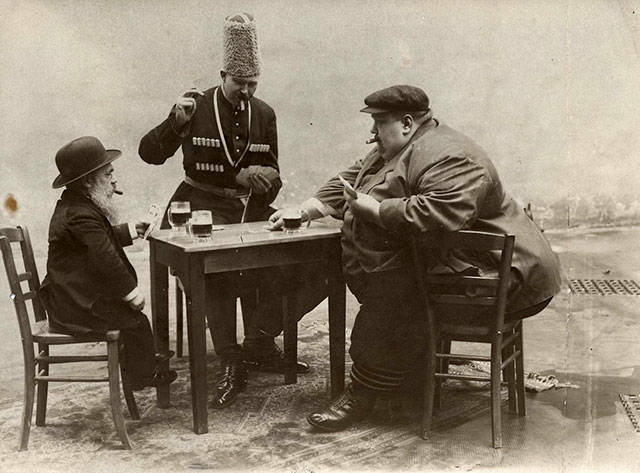 They were all smoking. 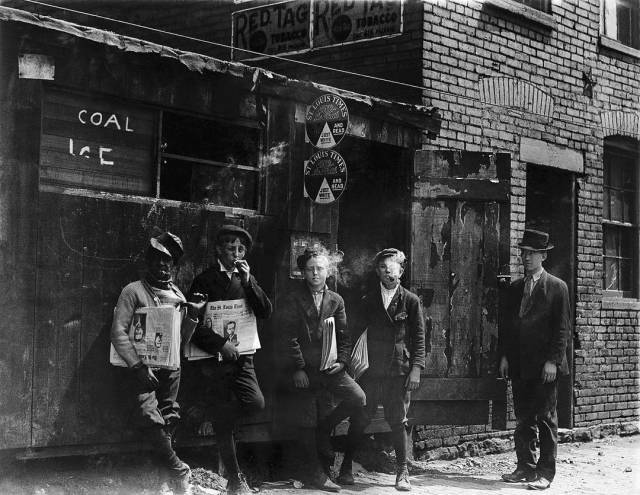 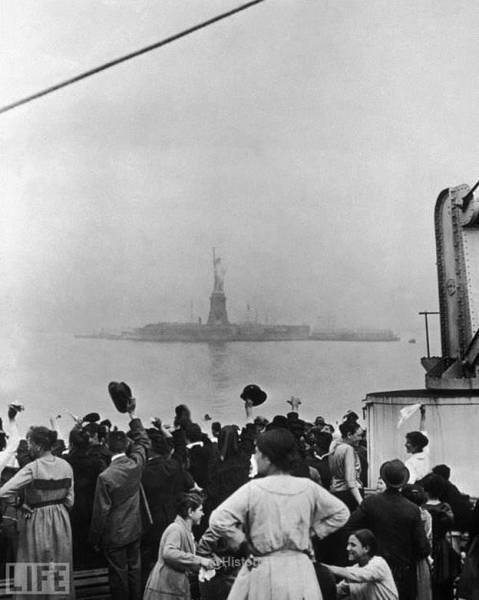 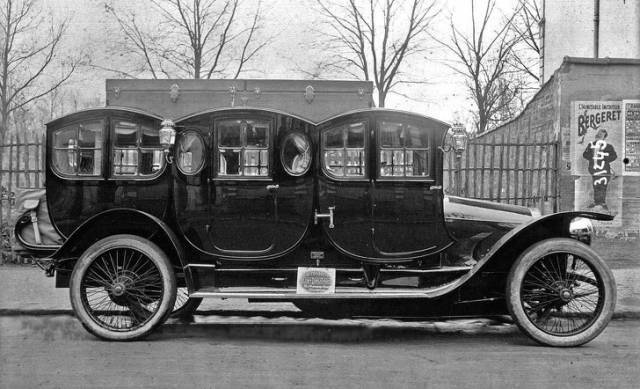 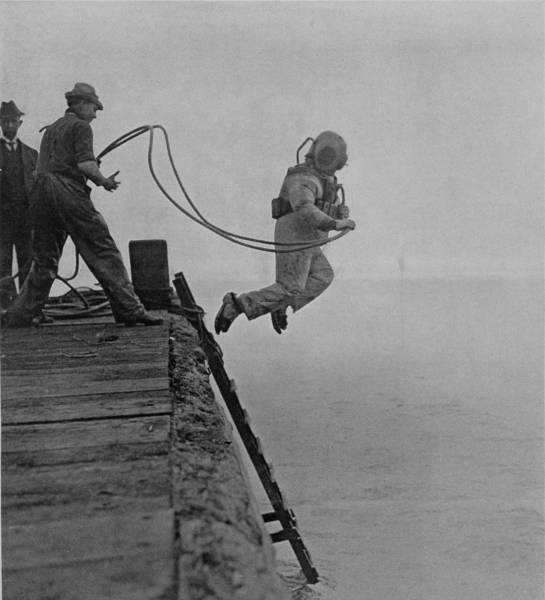 1910, St. Louis, Missouri. 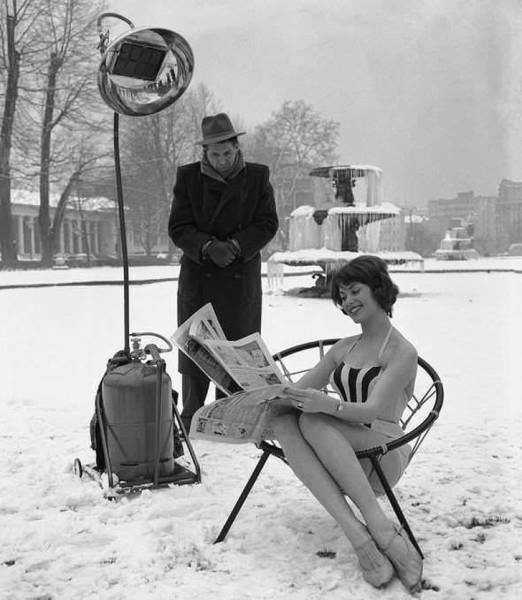 It Must Be So Nice In That Swedish Airplane!